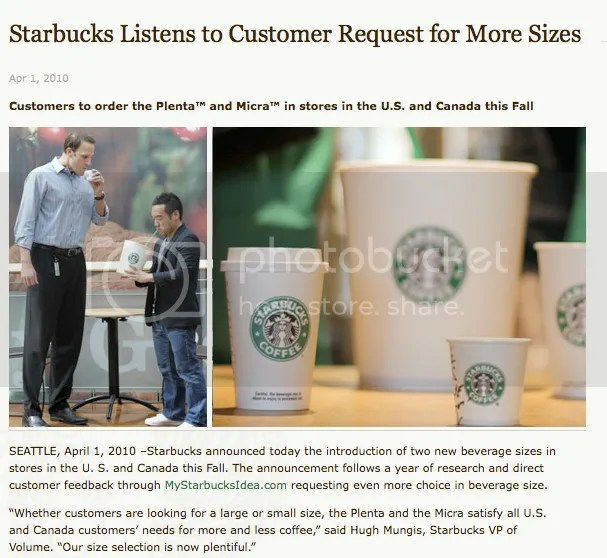 Starbucks April Fool, 2010 | That Mall is sick and that Store is dead! That’s funny. Oh, if only the Plenta size was real!